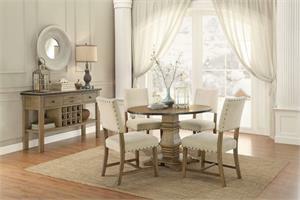 Traditional does not need to mean old and stuffy. 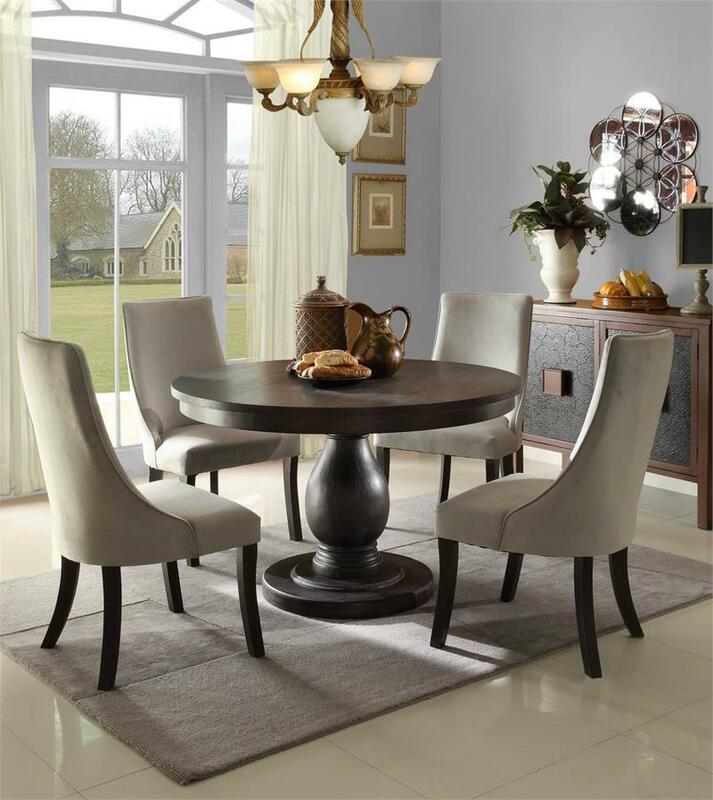 Take the gracefully turned pedestal base and sweeping arm of the accenting chairs of the Dandelion Collection, and traditional takes on a whole new meaning. 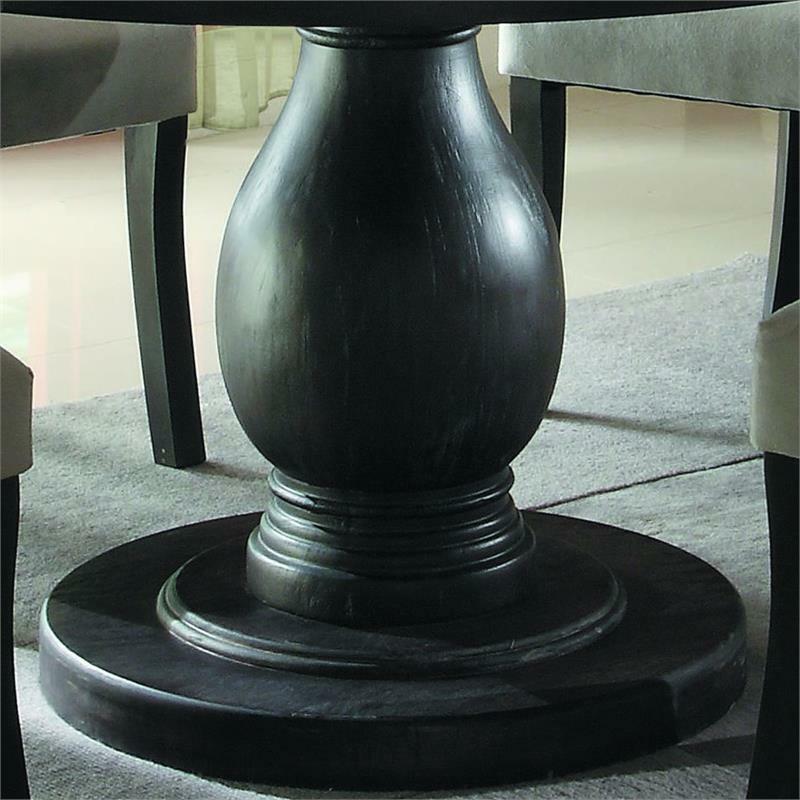 The distressed dark brownish grey finish of the table is a fresh look, further complimented by the exquisitely soft grayish fabric covering each of the chairs. 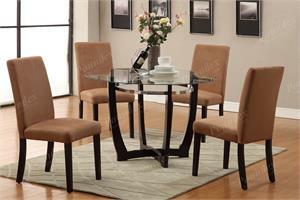 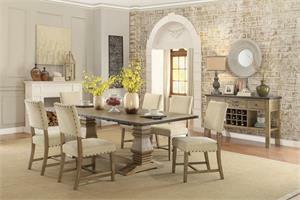 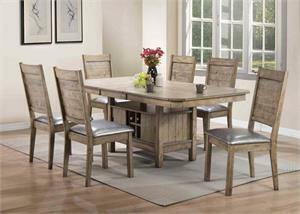 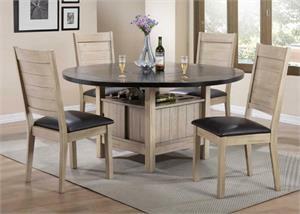 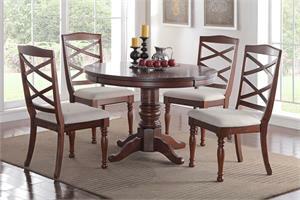 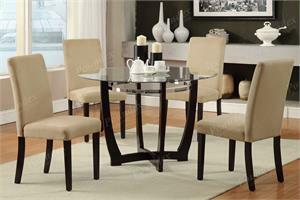 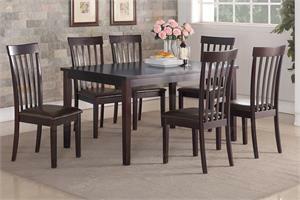 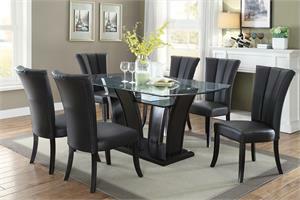 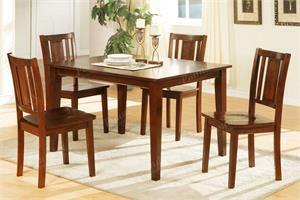 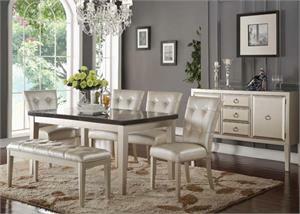 This collection is sure to be the highlight of your dining room.